Okay ladies. The first one is for the challenge entry. 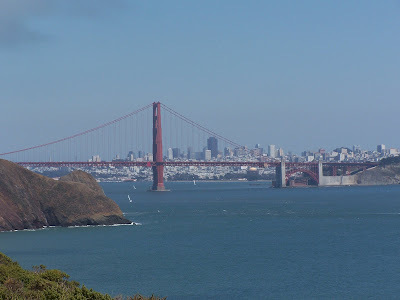 These are of the Golden Gate Bridge in San Fransisco on the west coast of the United States. 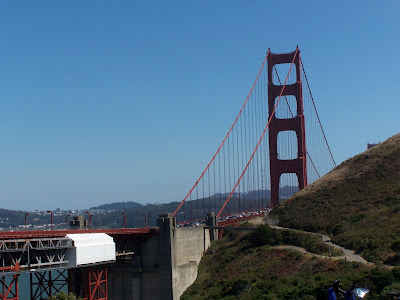 It is a very popular bridge and is very photographed. The one downfall of travelling to different places is that the weather may not be in favor and that is so true to this bridge. You are lucky to catch a glimpse if it is not foggy. Well to this was four road trip so this was the best shots I he got after circling around several times. There is a place where you pull off and park on either ends of the bridge but the parking lots were full. Poor hubby kept driving around until we finally were allowed into the parking lot. Well it is no secret that to get a good picture you need to have patience and adjust the settings on the camera. I once read that to take a good picture you need good light and good weather but that is something you cannot control. So do the best you can int he worst of conditions and you may just surprise yourself with a spectacular picture. I love this shot with the fog. I worked in the conditions I found myself in. Hope you like it too. I think the fog makes the picture. 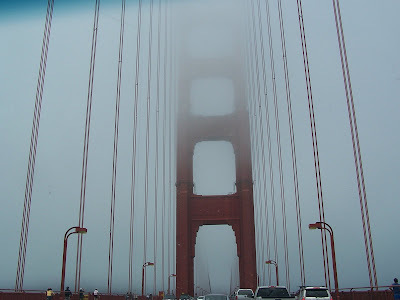 What is the Golden Gate Bridge without fog. Great shots. wow...you have one great bridge to photograph. As many times as we see it, I think you have some different angle shots. I like your first one best also, the touch of fog is great. You couldn't have planned fog any better! Great shots. Yes Its very popluar where all the people always go there.. Im gonna visit there after MJ's Graduation 2011 yaya me. My Grandma and Grandpa went there even My Older Brother went there too.... that all!! love your photo shots of all!! i think the world know it all!!! Great shot, and great foggy touch! WOW that's a big bridge!! Great photos. 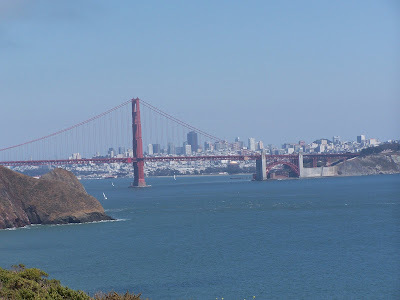 These pictures are great, you can't lose with the golden gate! 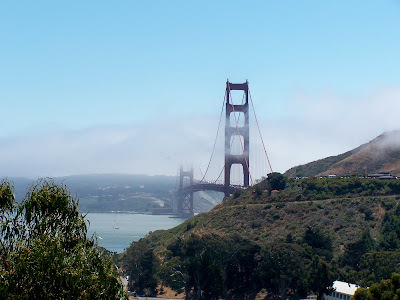 I knew SOMEONE would have to photograph the Golden Gate for this challenge! You've done a great job! And what's that bridge without at least a little fog???? Beautiful pics, love the low hanging clouds!! you worked it alright! this ia a gorgeous picture! Great photos and the fog is beautiful. 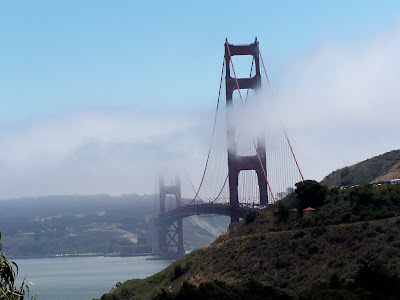 These are great pictures with that bridges almost in the clouds. Beautiful photo's!!! Yeah, I know this bridge from the movies and so, hehe!